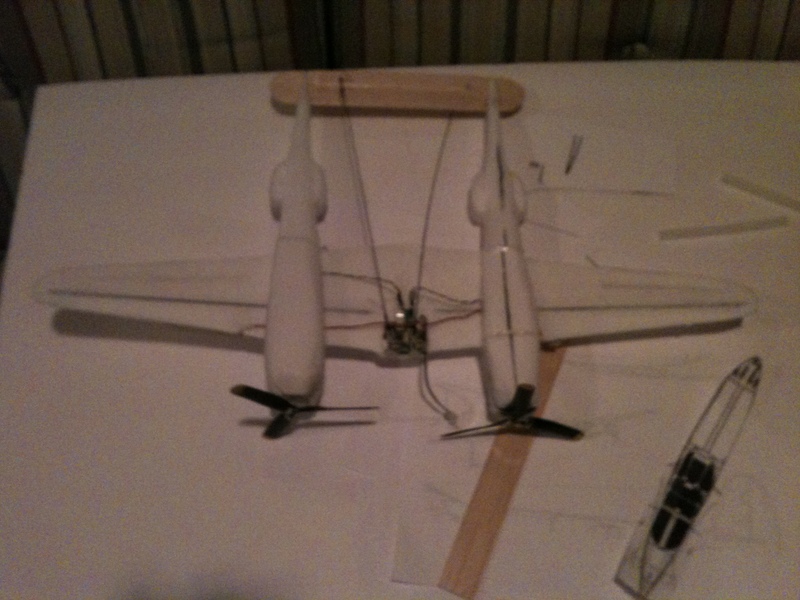 I'm doing a scratch build before i leave, or at least starting the fuselage before i go. im stuck between a couple of planes and i also am not sure what i can build with mossie parts. gonna use one motor, see if my spare prop from my extra 300 fits on. I'm going to go get some dollar tree foam and strip the paper off the parts that get curved or shaped. 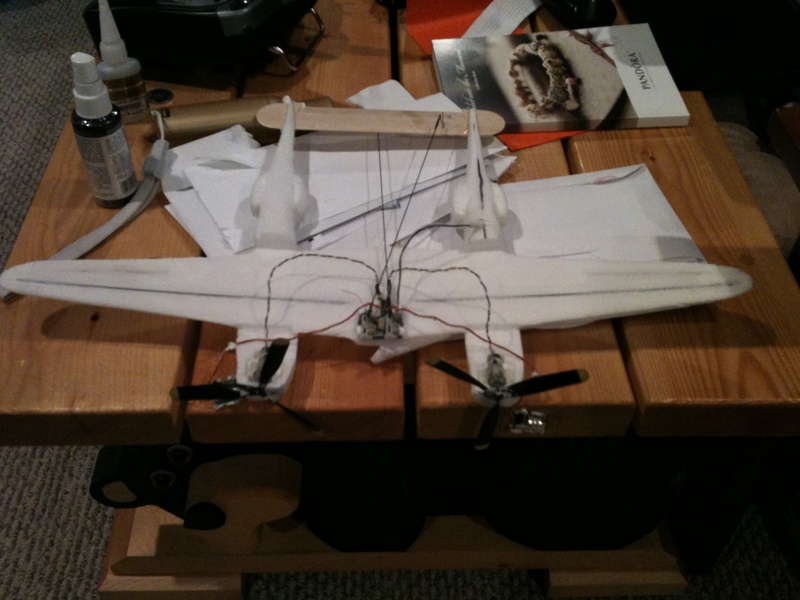 simple balsa structure for the wing spar and balsa sheets for horizontal stab and vertical stab. full 4 channel control. Possibly thinking delta or wing. but I'm not sure how a micro wing would fly haha. i think all i would have to of is screw the prop on backwards and it should work. 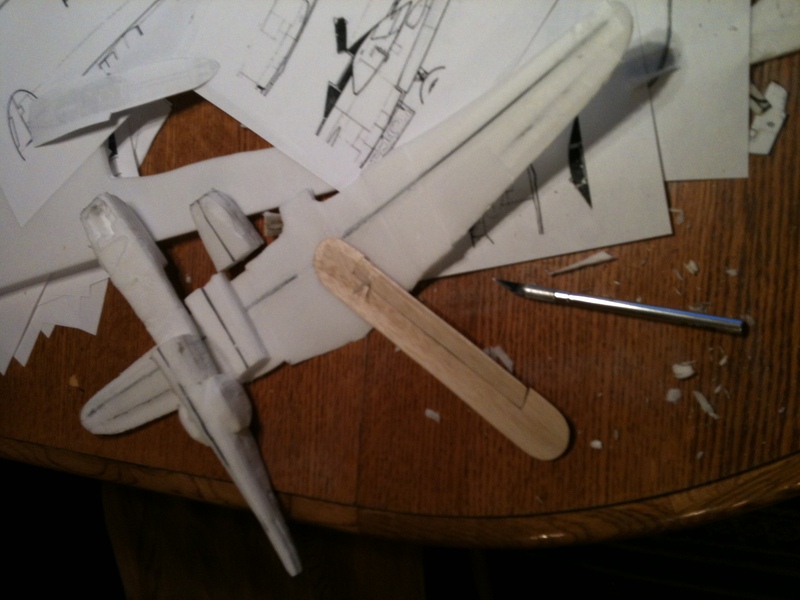 I'm going to go get the foam soon and then figure out the plane I'm going to do. but hopefully i figure it out soon. i LOVE my mossie don't get me wrong, but i only have 2 weeks till i go away. so I'm gonna gut it, since its mostly glue anyhow. and then I'm gonna save whats good and buy a new one if i like this plane, or ill buy a new fuselage after basic if i don't like the scratch build. using all the guts from an ultra micro mosquito, may unplug one motor if i can. 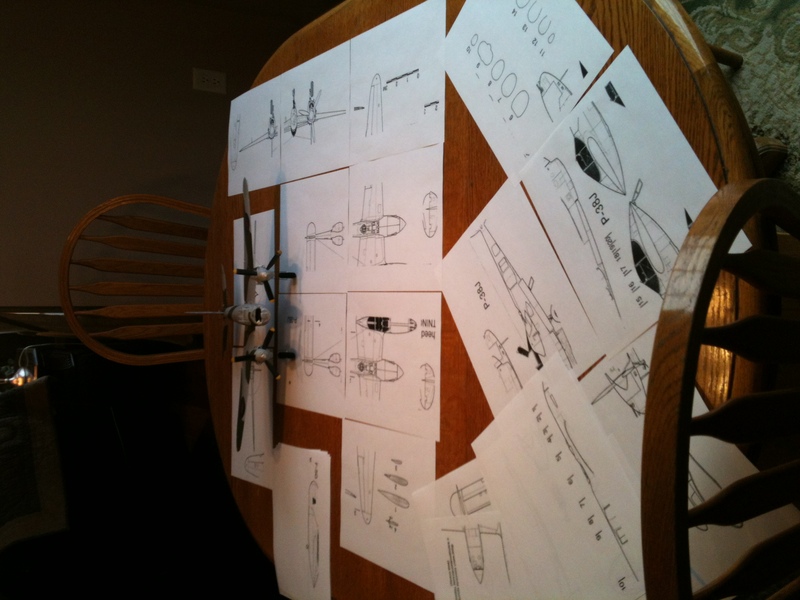 if not ill have to make a double engine plane. in any case, this is a first and i have a week so it won't be super pretty. but i wanna get it done. i think i have it down to a couple of planes. probably gonna do a P-38. but I'm still thinking about a delta and a wing. if i p-38 i can keep all the electronics as is without changing much in that aspect. i could probably get away with making the airframe a little denser too as it would be overall thinner. i could also cut out a couple of balsa formers, just for stability on the twin booms. ill just use one lengthwise on the booms, one each. ill make the horizontal stab and vertical stab from balsa as well. i figure if i take the paper off both sides of the dollar tree foam and glue it to the formers i should be able to use it shape and let the balsa do structure. ill just glue a couple of pieces together with white elmers glue and shape it out. this should keep my cost to around $5-$6 for parts and assembly. ill fly it before i paint it, make sure i like it. im also thinking about using a sheet of balsa to make the wing's bottom surface and shaping the foam for the airfoil, ill leave the front third foam so i can shape a clark y airfoil. ill omit the spinners fully until later. 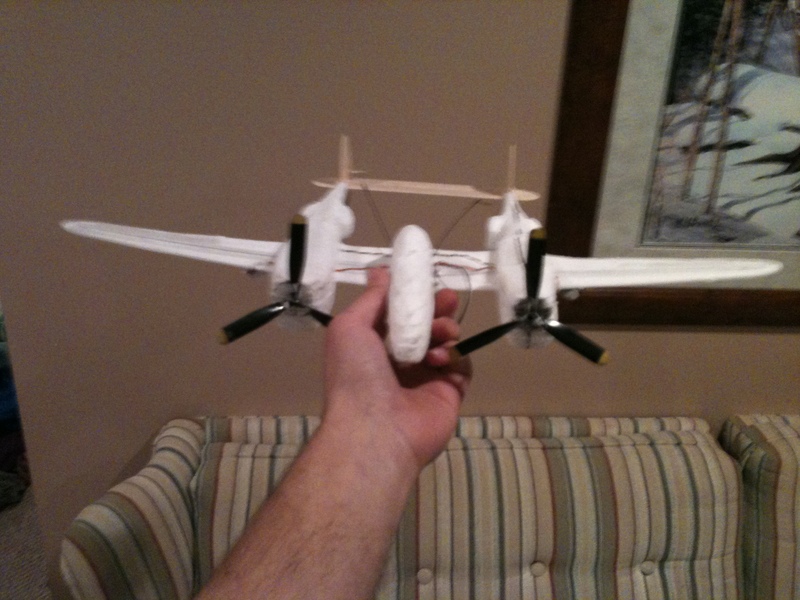 i figure if i print a couple profile pictures of the plane i should be able to shape everything by eye close enough and with balsa bottom wings ill glue a dihedral in it that looks scale. not sure if ill make both rudders function yet as i don't have extra hinges and gear is just gonna stay "retracted." ill go get the foam today or later tonight and start building. ^ looks like i figured out my plane for myself haha! got some plans, seem to be the right scale. just looks bigger than it is cus i need to cut all the profiles out and tape them together. Ultra micro is a challenge to build. The PZ electronics are fine but making the plane in just a few grams (fractions of oz) is something that need some care. It is a plane with a span of 40- 50 cm (16-20"). Sanding 3 mm depron to a profile is possible but better is to get 1,5 or 3 mm depron as a start and bend in the strength. Carbon fiber rods of 0,5 mm diameter are good to have but the glue must be a minimum. A wing (combat style) with a span of 50-60 cm (20-24") should be the easiest to build if you have a DX6 or better radio or can use the mix on the DX5. ill keep that in mind. if this lightning doesn't turn (already made the wing and starting the twin booms now. i killed the mossie, and I'm not sure if i regret it yet. but once i have my lightning done, hopefully ill feel better. either way i got to look at it this way. in 13 days I'm gone, can't fly any more anyways, so ill just buy a new mossie without al the battle scars once i make tech school in the air force. 1 boom, a horizontal stab, a wing, and a whole lot more work to do haha. Good job! It'll sure look better when it's done! i hope so. but its a super quick build just before i leave so its not gonna be super pretty. Awesome! A scale paint job and it will look great! got to figure out a way to smooth the surface. its pretty pitted from sanding and shaping. suggestions? got another boom done, mounted electronics (mostly) and assembled it all together. for tomorrow, finish cockpit, finishh boom tops, fasion battery hatch in nose from my mossie parts, may have to make it lighter, finish vertical stab, attatch control linkage, possible maiden?? not regretting the gutting of the mossie as long as this plane flies ok. it looks a LOT better than i could have ever wished for!!!!! looks and sounds great so far, good luck for the rest of the build. new photos of the build. everything is done besides the rudder and the cockpit. Looking good pilot! I think you just might have something with this build. You'll need to trim it up as soon as you launch it... How's the CG?